India successfully defended their Asia Cup title to clinch the honours record seventh time. Chasing 223 in the final against Bangladesh at the Dubai International Cricket Stadium, India crossed the line on the last ball of the match with three wickets in hand. 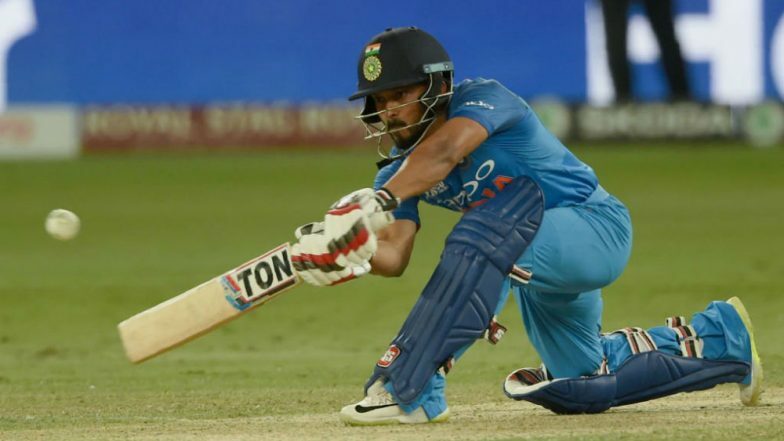 Kedar Jadhav who was earlier retired hurt came back to guide India to the victory along with Kuldeep Yadav as India needed six off the last over. You can watch video highlights of Ind vs Ban Asia Cup 2018 here. Bangladesh kept themselves in the contest by picking wickets at the regular intervals. Though Bangladesh’s hopes of clinching the maiden Asia Cup title received a boost when Rubel Hossain removed Rohit Sharma with India’s score reading 83 for three. Dinesh Karthik and MS Dhoni then bailed their side out of the trouble with a 54-run stand. Earlier, opener Liton Das' brilliant century helped Bangladesh post 222/10. Bangladesh got off to a flying start but lack of support from the middle and lower order batsmen and some brilliant fielding from Indian players saw Bangladesh only managing to score a modest total. Das played 117 balls and slammed 121 runs which included 12 boundaries and two sixes and built a perfect platform for a big score but some poor shot selection from other batsmen cost the Bangladesh camp. Unperturbed by the fall of Hasan's wicket, Das kept on playing his natural game but middle-order batsmen Imrul Kayes, Mushfiqur Rahim, Mohammad Mithun, and Mahmudullah failed drastically. All of them gifted away their wickets, thanks to careless shot selection. With five batsmen back to the pavilion at 151, Das, along with Soumya Sarkar, tried to reconstruct the innings but was dismissed in the process. Liton Das Hits Hundred Against India in Asia Cup 2018 Final in Dubai, Watch Video Highlights of Ton by Bangladesh Opener! Wicketkeeper Mahendra Singh Dhoni stumped Das off Kuldeep Yadav in the 40th over. Mashrafe Mortaza fell prey Kuldeep after playing nine balls. Sarkar kept playing at the other end but was run out in the penultimate over while trying to increase the run rate. His 45-ball knock was laced with one boundary and one six. In the very next ball, Jasprit Bumrah clean bowled Rubel Hossain to wrap up the innings in style. India with this win stayed unbeaten in the 2018 Asia Cup, which includes a tie against Afghanistan. The victory was India’s seventh Asia Cup title, the most by any team. (Inputs IANS).